The Toyota SUV lineup features a great selection of sizes and features. Whether it’s the new C-HR, powerful RAV4, bigger Highlander, 4Runner, or Sequoia, or the explorative Land Cruiser, there is a Toyota SUV for you! Our Toyota SUVs come with many safety features like Toyota Safety Sense™ (TSS), and our SUVs also offer hybrid options to boost efficiency! Learn more about the Toyota SUV Lineup today! 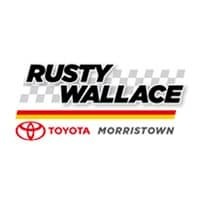 Stop by Rusty Wallace Toyota in Cedar Park to explore our Toyota SUV lineup!